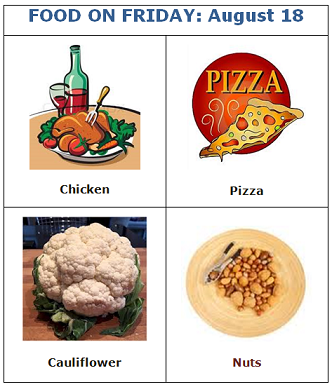 As you can see, there are 4 new themes – Chicken, Pizza, Cauliflower & Nuts I hope you'll find some great stuff to share in those categories. I'll be pinning your creations to the relevant Pinboards – Chicken, Pizza, Cauliflower & Nuts. Hi Carole -- thank you for hosting! I left a pizza recipe and a soup recipe that uses cauliflower + hazelnuts. I have attached a lengthy post in which is buried a link to my favorite pizza recipe. I bake this pizza on a Big Green Egg, a kamado-style ceramic shell grill, with which I can crank the temperature up to 800°F. Best pizza ever! My husband was so skeptical, but we love Faux Potato Salad! It's made with cauliflower instead of potatoes so it's a low carb substitute but it has all the flavor! Thank you so much for hosting! Cheers! Hurrah for the daffodils - you just know Spring is coming! The post has links for 5 more cookie recipes. Enjoy!